As with my earlier book reviews, I was given the books in return for writing reviews.These are my real opinions. 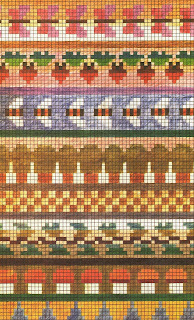 Fabulous Fair Isle Knitting is packed with colourful modern garment designs for men, women and children, using the traditional Fair Isle knitting technique. 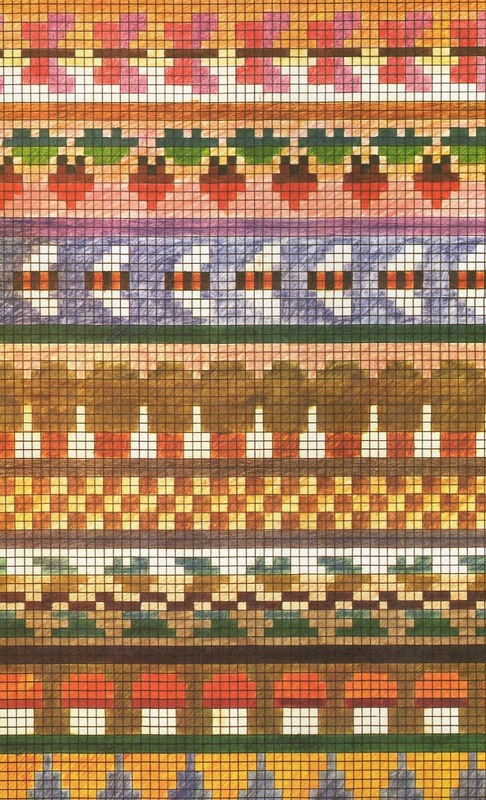 Although at first glance the multi-coloured designs look terrifyingly difficult, there are never more than 2 colours in use at any one time, and they are all knitted in simple stocking stitch. Not restricted to the simple geometric patterns I remember from childhood, there are charts for apples, fish, mushrooms, bees and more. 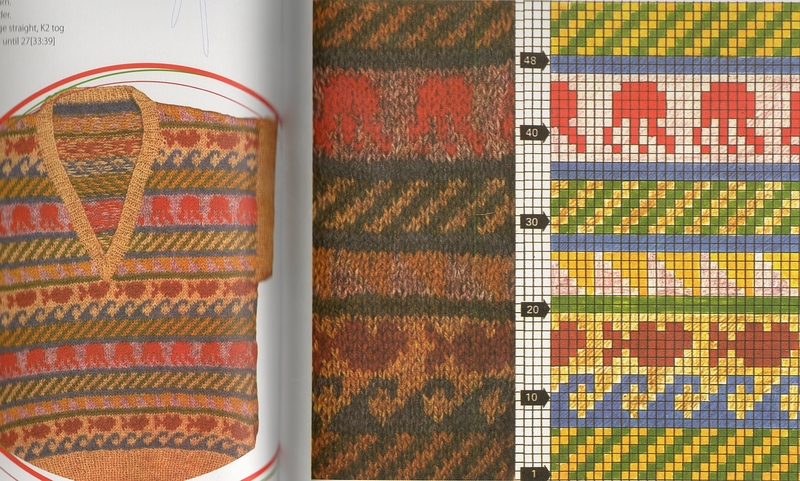 Each pattern is well illustrated and easy to follow, and Patty encourages us to go further by designing our own patterns with coloured pencils and squared paper. Great fun! 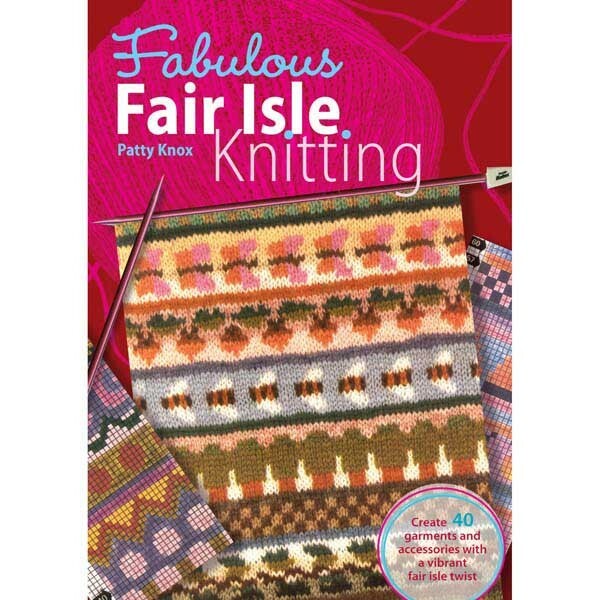 Patty addresses the problem I used to have when attempting fair isle some 20 years or more ago. Shame this book wasn't available at the time! She explains (with diagrams) how to weave in the "spare yarn whilst knitting, so that the work does't get pulled too tight." I remember a sweater I knitted that ended up almost "ruched" and far too small! Poor Mr Nifty did try to wear it out of politeness though. All the garments are basic shapes, the only thing you have to think about is the patterning. Each pattern is well illustrated, so that you can see the whole garment, the chart and a swatch to identify what each part of the chart means. I'd love to knit this little sweater with its rows of jellyfish and octopus, isn't it cute? I shall hang on to this book for when I become a gran! 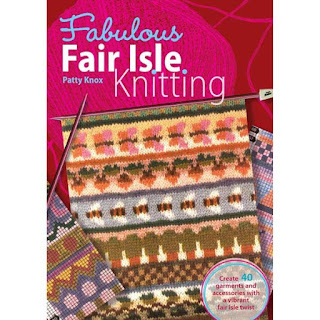 I would love to try fairisle. I think I have always had the same problem of sewing in the threads. How kind of Mr Nifty to wear it.